Each year, the OIE Working Group on Wildlife (WGW) reviews some of the important wildlife disease events that have come to the attention of its members and their networks. There was much to review in 2017. In Mongolia, as many as 55% of the total population of Saiga antelope (Saiga tatarica mongolica) died of peste des petits ruminants (PPR), together with ibex (Capra siberica hagenbecki), goitered gazelle (Gazella subgutturosa), bharal (Pseudois nayaur), and domestic small ruminants. Avian influenza viruses of the H5N6 and H5N8 groups caused mortality in wild and domestic birds in the Asia–Pacific rim, including the People’s Republic of China, Chinese Taipei, Hong Kong, India, Japan, the Republic of Korea, Nepal, the Philippines and Vietnam, and H5N8 viruses caused many mortality events in Western Europe during the winter of 2016–2017. The spread of African swine fever from Eastern to Western Europe continued, and large-scale efforts were implemented to control chronic wasting disease (CWD) in Norway. Major outbreaks of anthrax occurred in Tanzania, Namibia, Mozambique and Zimbabwe, particularly in hippopotami (Hippopotamus amphibius), but also in elephants (Loxodonta africana), zebra (Equus burchelli), wildebeest (Connochaetes taurinus), and various gazelle species. In Tanzania, Zambia and Zimbabwe, numerous human cases were reported in people who had handled or eaten meat from infected animals. The disease occurrences of note in Africa and the Middle East included plague in Madagascar, monkeypox in the Congo Basin, Marburg haemorrhagic fever in Uganda, Lassa fever in Nigeria, and Middle East respiratory syndrome coronavirus (MERS–CoV) in Saudi Arabia. In North America, an outbreak of New World screwworm (Cochliomyia hominivorax) in white-tailed deer (Odocoileus virginianus) was successfully eradicated by a massive release of sterilised male flies. CWD continued to spread by natural means and human agency. Preliminary results from infection trials in macaque monkeys indicated that clinical CWD could be acquired by these old-world primates by consuming meat from affected animals. This short summary of major disease events demonstrates the tight connections among diseases of wildlife, people and livestock. Understanding these connections is essential if the risks posed by these diseases are to be managed and reduced. Surveillance and reporting of diseases in wildlife is the foundation for such understanding. Because knowledge of the occurrence of pathogens and diseases in wildlife is so important to both animal and human health, the OIE asks all Members to report the occurrence of specific pathogens and diseases in wildlife that are not on the official OIE List of diseases. Such reporting is voluntary but highly encouraged, and is a major objective of the appointment and training of the OIE National Focal Points for Wildlife. Currently, participation in this reporting is low. 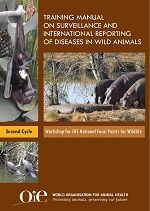 In the coming months, the OIE will take steps to simplify and encourage reporting of these diseases in wildlife by providing better guidance on reporting requirements for non OIE-listed diseases and enhancing communication with the OIE National Focal Points for Wildlife. The WGW urges all OIE Members to take part in this voluntary but important wildlife disease reporting. fact sheets in the Transmissible Diseases Handbook of the European Association for Zoo and Wildlife Veterinarians (EAZWV). The Working Group undertook to search for reliable on-line sources of information on diagnostic methods that can be applied to specimens from wild animals for each of the non-listed pathogens for which annual voluntary reporting is requested from Member Countries by the OIE. This information will be provided to the OIE to assist Member Countries with wildlife disease surveillance and diagnosis. It should be complete by the next meeting of the Working Group in December 2018. The Working Group on Wildlife is an enthusiastic supporter of the training workshops offered by the OIE to its National Focal Points for Wildlife. Four cycles of these training workshops have now been completed and a fifth is under development. Each cycle consisted of five regional workshops on the same topics presented at asuitable venue for Asia, the Americas, Europe, Francophone Africa, and Anglophone Africa and the Middle East. A training manual was created for each cycle and these can be used for self-training or in classrooms. The manual for the first cycle provides a broad introduction to wildlife health and its relevance to the health of people and domestic animals. 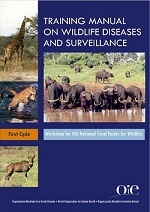 The manual for the second cycle provides a detailed overview of wildlife disease surveillance and includes data files that can be explored and analysed as learning exercises. 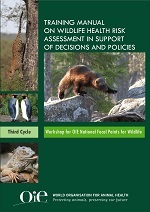 The manual for the third cycle provides a ‘how-to’ course in wildlife health risk assessment in the context of international movement of wild animals, and then carry this risk assessment into actual decision-making, with an exercise in multi-criteria decision analysis. The manual for the fourth cycle is in preparation and will provide practical information on wildlife disease surveillance with anemphasis on disease diagnosis. 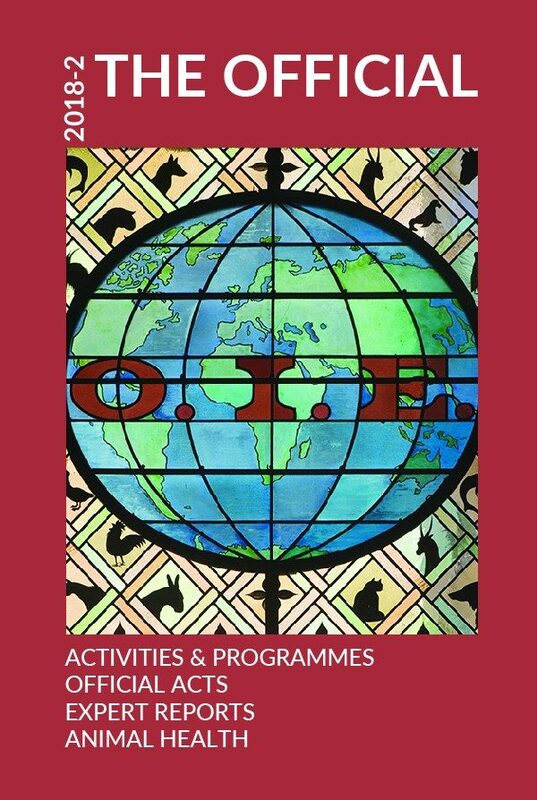 The WGW congratulates the OIE on the quality of these training workshops for OIE National Focal Points for Wildlife and urges all who are interested to make full use of these excellent teaching manuals which the OIE has made available to the world, free of charge. The updated Terms of Reference for the Working Group on Wildlife were adopted by the World Assembly of Delegates in May 2018. The WGW’s former Terms of Reference comprised advising the Scientific Commission on Animal Diseases (SCAD) on wildlife health issues. This important relationship with SCAD will continue but, in addition, the WGW will help the OIE as a whole with issues related to wildlife, and will support the Organisation and its Members to engage with climate change and biodiversity conservation imperatives. 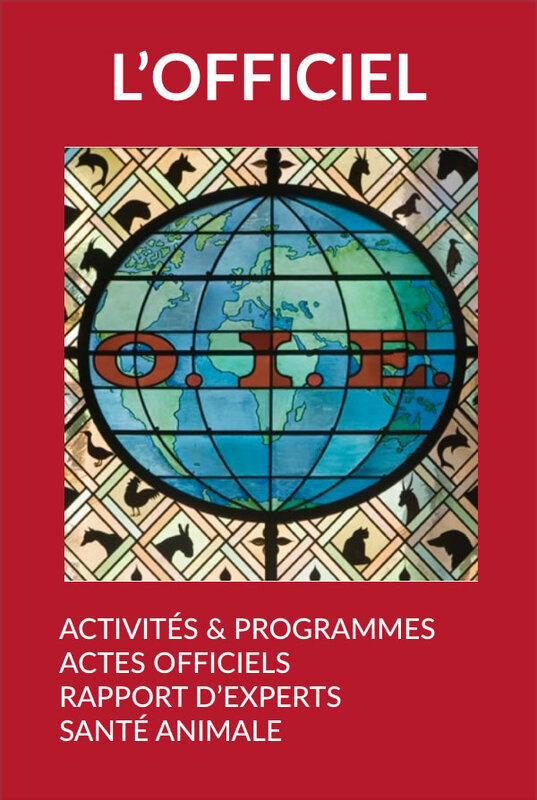 In December 2018, during its meeting at the OIE Headquarters, the WGW will plan and begin to implement activities around these new responsibilities.